What is the World Grid? How can it be it mapped? What does it do? Why should we be concerned about it? What does it have to with anti-gravity? 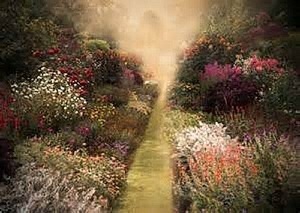 In my many travels around the world in search of lost cities and ancient mysteries I have often wondered if there was some link connecting many of the ancient megalithic sites. Some years ago I discovered that there was no such thing as a coincidence. If the placement of ancient sites was no coincidence, what then was the overall organizing principle for the carefully laid out world wide pattern? 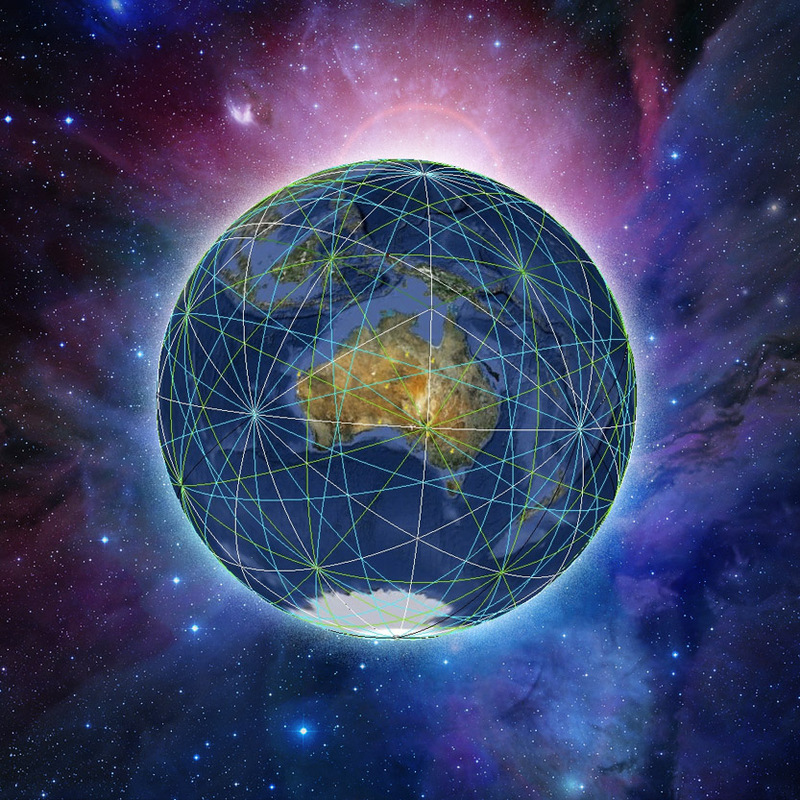 In other words, we are speaking about an intelligent geometric pattern into which, theoretically, the Earth and its energies are organized – and possibly in which the ubiquitous ancient megalithic sites are also positioned. What we are speaking of is fundamentally different from longitudinal and latitudinal lines that we are so familiar with from conventional geography. 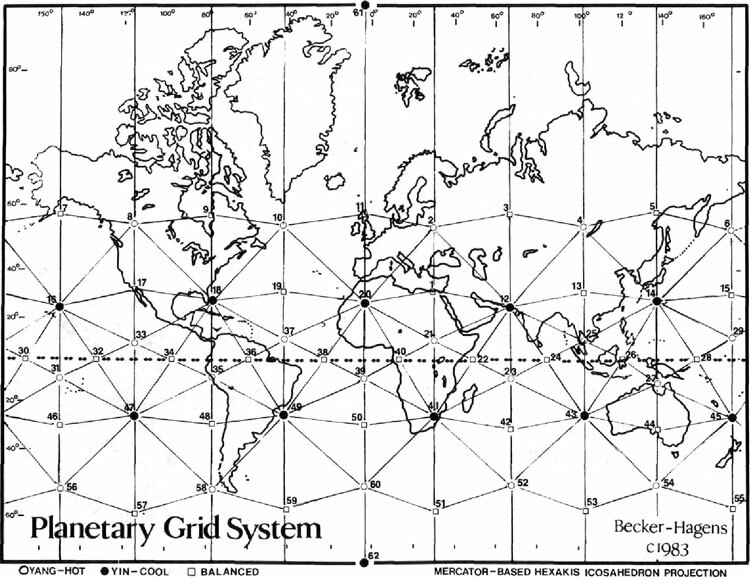 Proponents of the Earth Grid theory suggest that the grid lines are actually of a more basic nature than the more arbitrary, later conventions of cartography. However the familiar image of the Earth as a globe girded in a lattice of longitude and latitude lines helps us understand what an Earth Grid, based on more primary energy lines, might be like. 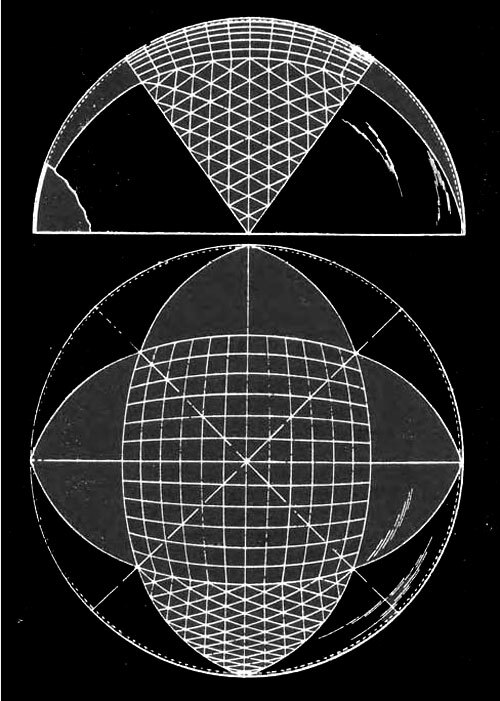 I say “energy lines” particularly, because one of the most consistent observations readers will encounter in this book is that the geometric pattern of the Earth Grid is energetic in nature. And that this Earth energy, organized into a precise web, was once, and can be again, the source of a free and inexhaustible supply of power, once empowering older civilizations of high technological achievement. Most Grid theorists state confidently that this Grid technology can be reclaimed again—today. While UFOs are a very controversial subject, which may contribute to its perennial popularity, some theorists claim that there is a fundamental relation between UFO phenomenon and magnetic-vortex-gravity anomalies in the Grid. This subject will be discussed in the book. and many techniques are still used by the dowsers of today. Even though gravity is an apparent physical principle defining life on Earth, it is still beyond the understanding of even the most intelligent scientist. No one has yet satisfactorily explained gravity. 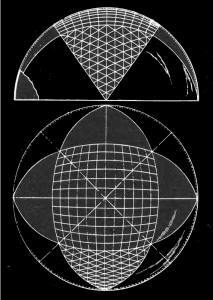 Is gravity a manifestation of energy from the Earth, connected with the Grid? If so, can we use certain points on the Grid to master gravity? Are UFOs defying the Earth’s gravity field, using some sort of anti-gravity? These are all pressing questions. Perhaps by observing UFO phenomena, we can deduce certain engineering principles in operation in the Grid. Already the Grid seems to implicate two fundamental realities of physical life: gravity and energy. 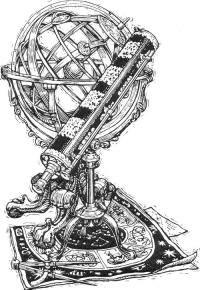 In the pages that follow, you’ll be treated to some of the most advanced and exciting theories on the World Grid. Contributors to this volume approach the Grid from diverse professional and philosophical points of view. 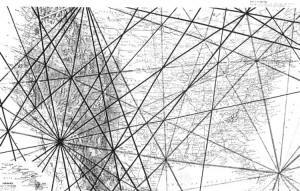 The result is a compilation of views (the first, and possibly definitive) of the Grid that spans the poetic to the mathematical. 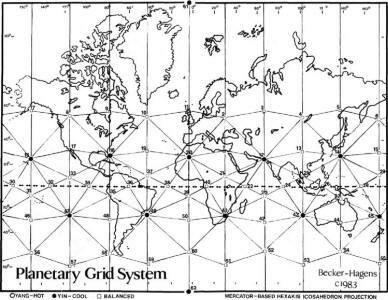 For example, professional anthropologists Bethe Hagens and William Becker’s chapter, “The Planetary Grid System,” gives a thorough overview of the geometry and geography of a unique World Grid model they call “EarthStar”. 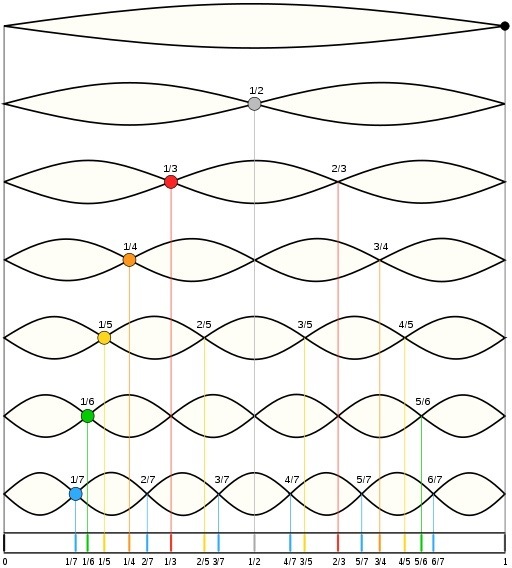 Bruce Cathie, author of four books on the harmonics of the World Grid, presents a fascinating mathematical probe into the Grid incorporating Einstein’s Unified Field Theory; Cathie comes up with some most surprising conclusions. Richard LeFlors Clark, Ph.D., discusses gravity vortex areas around the Earth that have been exploited either secretly by governments or by amateur scientists for the purposes of levitation and anti-gravity. He warns that you may become “permanent space debris” if you wander into one of these areas at the wrong time! Richard Leviton presents the Grid as a interactive spiritual workshop for the purposes of aligning human with planetary energies through the “megalithic temple.” The Earth Grid is seen as a living hologram of the organization of the solar system, intricately linked with the life and destiny of human beings. Other topics in the book include discussions of the electrical genius Nikola Tesla and the “Star Wars” plan, the mysterious Oregon Vortex, acoustic levitation of stones, and more. Nor do we take ourselves so seriously that we can’t relax and have a little laugh from time to time. Thus, the back of the book has chapters on anti-gravity patents, Newspaper Headlines, The Anti-Gravity File and even Comix. What are we to make of all this seemingly wild conjecture? The reports of our Grid theorists certainly go against the grain of modern scientific views. And they draw upon information which is often times subjective at best, and certainly controversial. 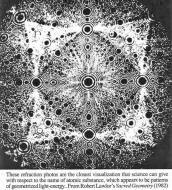 Grid theories challenge the very basis of our physical world view. Nor do they all agree with each other. However, major innovations in science often come from seemingly “crackpot” speculation. I leave it to the readers to decide which theories fit best into their own reality structure. Personally, now, as I continue traveling around the world, I regard with a more thoughtful eye the complex of ancient temples, cities and mounds. While I may not agree with, or totally understand, all of the theories presented in this book, each one has illuminated for me in a special way the reality that the Earth is a unified living planet, and that we as humans have a special and responsible place within this total environment. 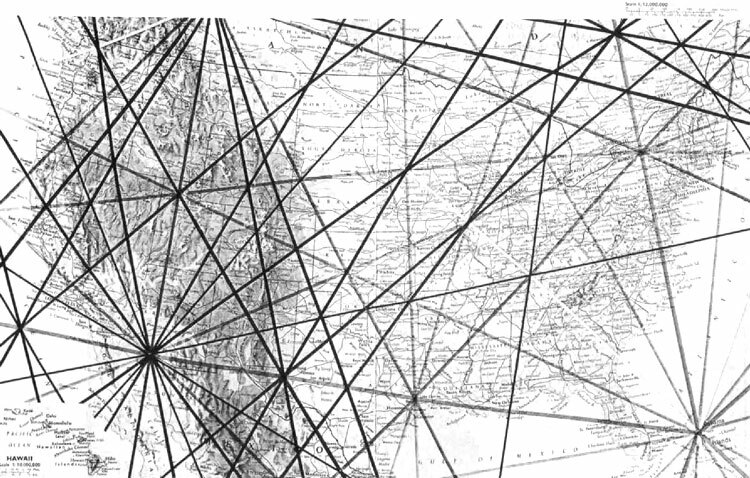 R. Buckminster Fuller did a great deal of work on the world grid. 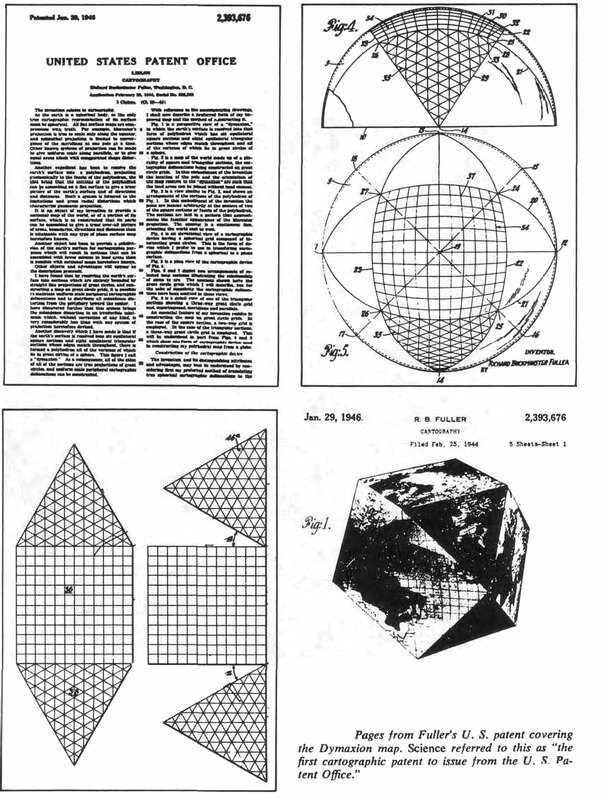 He copyrighted his “dymaxion” map in 1946. 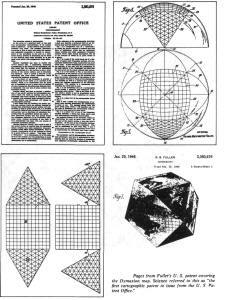 The Planetary Grid System shown on the reverse side was inspired by an original article by Christopher Bird, “Planetary Grid,” published in New Age Journal #5, May 1975, pp. 36-41. S. Becker. These materials are distributed with permission of the authors by Conservative Technology Intl. in cooperation with Governors State University, Division of Intercultural Studies, University Park, Illinois 60466 312/534-5000 x2455. This map may be reproduced if they are distributed without charge and if acknowledgement is given to Governors State University (address included) and Mr. Bird. The so-called Russian Grid, treating the earth as if it were a gigantic crystal. Computer simulation of molecule C60; a hollow sphere. It can hold other atoms. Note similarities in grid concepts with this computer model of a carbon molecule. David Zink’s map of megalithic sites and other features from his book The Ancient Stones Speak,(Dutton, 1979). (62) German underground Antarctic base? 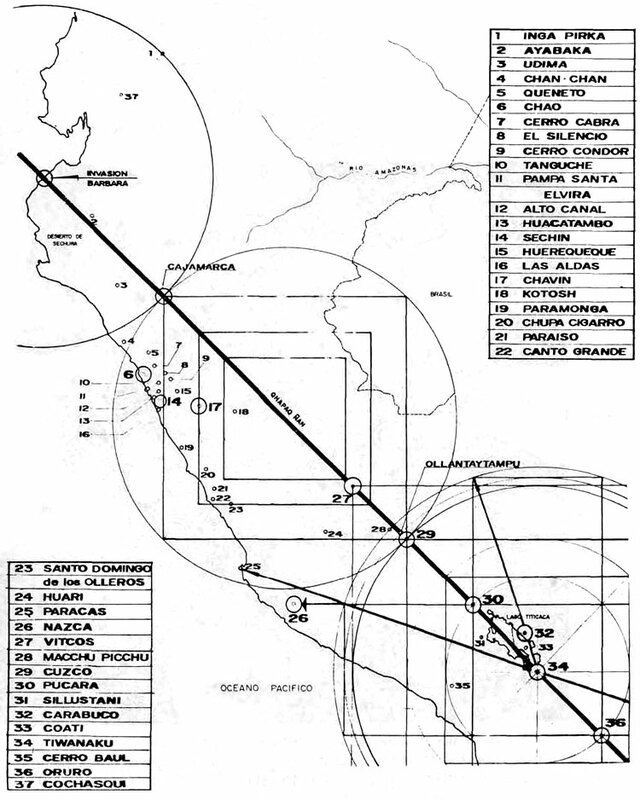 The ten “vile vortices” originally taken from Ivan T. Sanderson. At these ten areas, theoretically, magnetic-gravitational anomalies take place. Nicholas R. Nelson, in his book, Paradox (1980, Dorrance & Co. Ardmore, Penn. 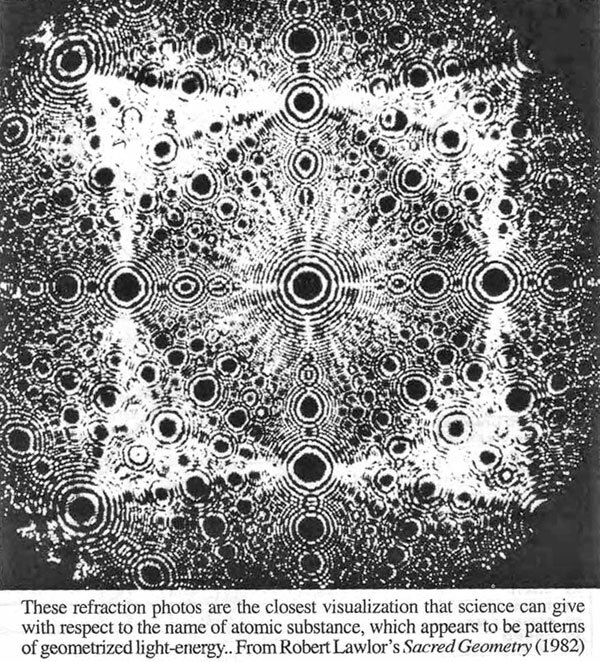 ), believes that these vortex areas are entrances to other dimensions. Such “doors” to other dimensions would account for strange disapearances and mysterious vanishings. 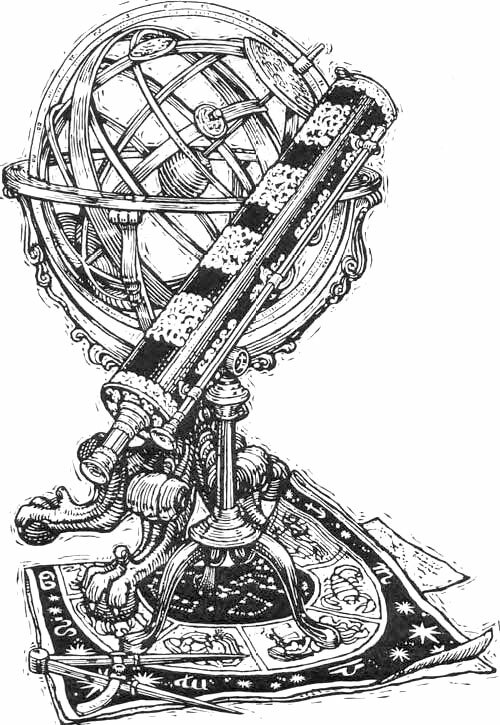 More illustrations from Paradox, Nelson sees the earth as an Icosahedron. Below is an enlargement of the Bermuda Triangle vortex area, one of the supposed “vile vortexes”. Here we see how other dimensions or parallel worlds can connect with the earth, theoretically at the ten hypothetical vortex areas of the earth. This illustration is from the book Genesis de la Cultura Andina (Genesis of the Andean Culture) by Carlos Milla Villena, published in Peru. 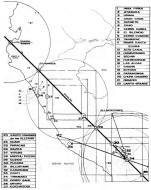 It shows the “grid line”-mathematical relationship of the megalithic remains of Tiahuanaco in Bolivia, with those in Cuzco, Peru and Vitcos, brief capital of the Incas in exile, as well as the point of entry into Peru that Pizarro and his conquistadors took during their conquest. Also on the grid line is Cajamarca, where the conquistadors captured the Inca Atahualpa and so sealed the fate of the Inca Empire. Were the Incas, or perhaps an earlier culture aware of the world grid?